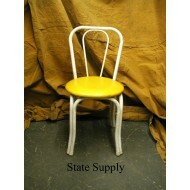 Bentwood Wood Cafe Chair "Candy Cane" ..
Bentwood Cafe Chair "Hair Pin" ..
Black Bentwood Cafe Chair with Cane Seat ..
Black Vinyl Seat and Back with Metal Frame ..
Heart Back Ice Cream Parlor Chair (Assorted Flavors) ..
Yellow Vinyl seat with Bentwood PVC Back .. 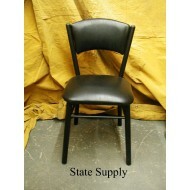 Thin Back Cafe Chair .. Wide Back Cafe Chair ..